Wait, we didn't charge anything? 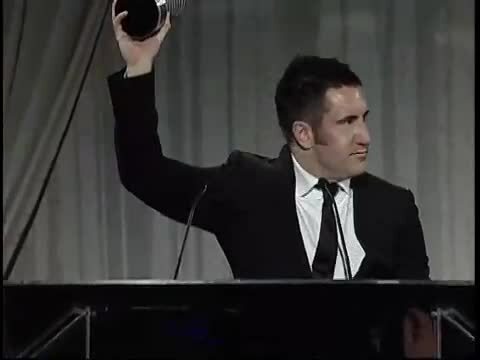 The Webby Awards is thrilled to honor Trent Reznor with the Webby Artist of the Year Award in recognition of his album, The Slip, which debuted for free download in May 2008 on his website. By making his music available to fans for free, Trent Reznor embraced the true openness of the Internet, similar to the release of the album Year Zero, which launched with an award-winning alternate reality game. Trent Reznor’s ability to connect with fans far and wide through the Web makes him a qualified ambassador of online culture, and arguably one of the most-recognized artists harnessing the power of the Internet to spread music.